Clayton received a bachelor of science in nursing from MU in 2008, a master’s of science in nursing in 2012 and a graduate certificate in health ethics from MU in 2015. 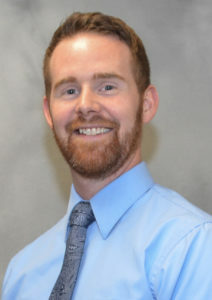 He has practice experience in several areas of medical-surgical nursing, working at MU Healthcare, Boone Hospital and Rusk Rehabilitation Center. Clayton is also an active member of the MU Center for Health Ethics Committee and maintains an adjunct appointment with the center.